Keeping fit and active into later life not only adds to a sense of well-being but according to many researchers may well help older people to remain healthy for longer. However, women are likely to be in employment longer as a result of changes to pension arrangements and there are fears that working arrangements may restrict their ability to participate in leisure and exercise as this report recently released by Birmingham Business School outlines. Older women in paid employment are less likely to take part in leisure-time physical activity, according to research by the University of Birmingham. As working lives are extended, constraints on time will bite more deeply into time available for leisure-based physical activity… longer working lives make it imperative to support workplace interventions that motivate physical activity in work. Researchers from Birmingham Business School found that time constraints imposed by paid work have a negative effect on exercise levels for women in their 50s, 60s and 70s. The study, published in the journal Sport in Society, also identifies fear, embarrassment, lack of confidence, caring responsibilities and limited opportunities as barriers to physical activity for older women. With paid work extending further into older age as the statutory pension age increases, the study urges government, employers and leisure providers to intervene in order to counter the negative effects of working longer on participation in leisure-time physical activity. 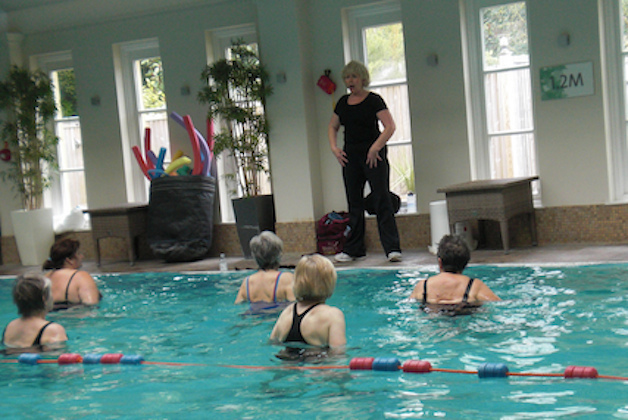 The researchers carried out in-depth, open-ended interviews with 30 older women on the subject of exercise. They also interviewed a number of key stakeholders, including leisure providers, NHS groups, a local council and Age UK. Data from the British Household Panel Survey (BHPS) was analysed to provide national context. Analysis of the BHPS data showed that although people in paid work are more likely to join a sports club and watch live sport, they are less likely to participate in recreational physical activity. But while the dominant finding from the interviews was the negative effect time constraints have on participation in physical activity, the study also identifies some positive links between work and exercise, forming part of what the researchers describe as a ‘double-edged sword’ for older women in paid employment. For example, a number of the women interviewed said their employers had helped facilitate participation in physical activity, while some of the stakeholders noted the benefits of having a physically active workforce. Other factors identified as encouraging older women to take part in exercise included a history of being active and a desire to remain healthy. The academics say further research on a larger scale – involving stronger representation of different socio-economic and ethnic groups – is required to give a fuller picture of the relationship between paid work and participation in physical activity in older women.